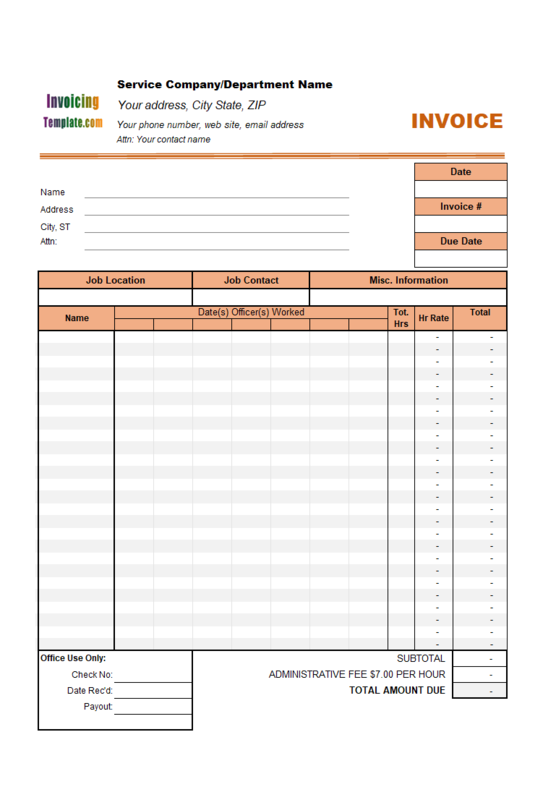 This Timesheet template records the time your employee worked for a job. It includes fields for job location, job contact, as well as the hours each employee worked, hourly rate, administrative fee. This is a weekly time sheet. 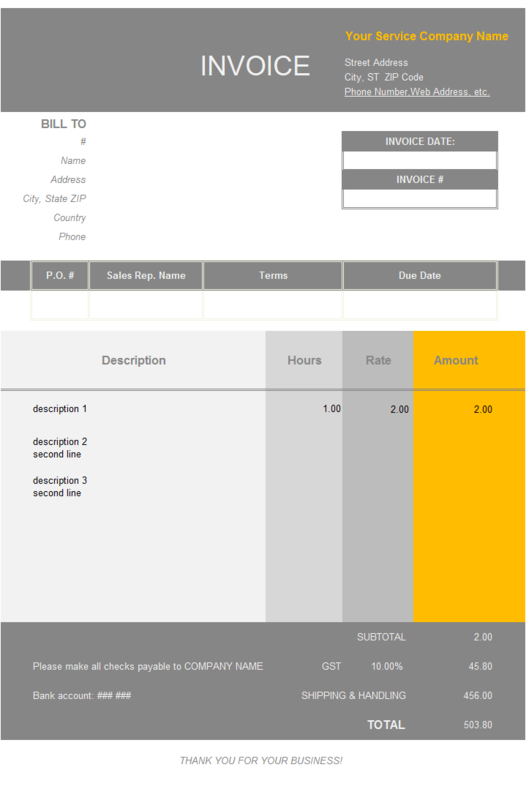 cm001 now includes the customized invoice template for the latest version of Invoice Manager for Excel. This is what you will see when you open timesheet.xlsx. 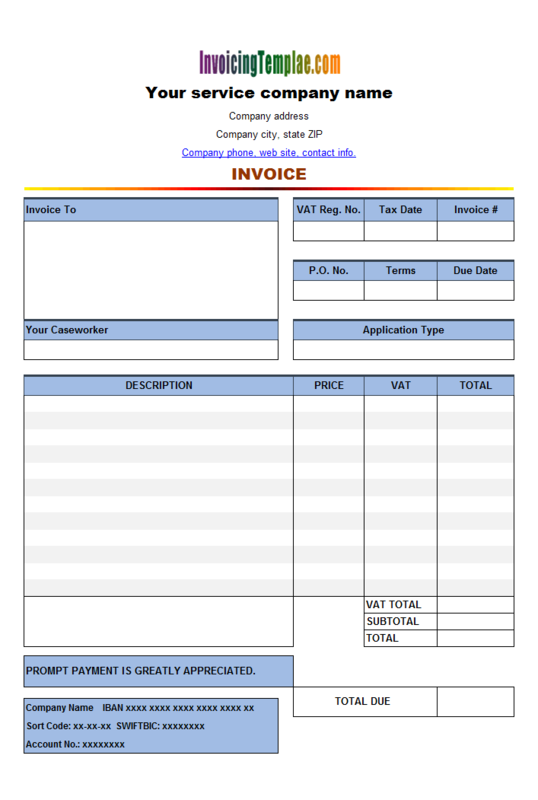 This free Timesheet template designed by InvoicingTemplate.com is in Microsoft Excel (xls) format. 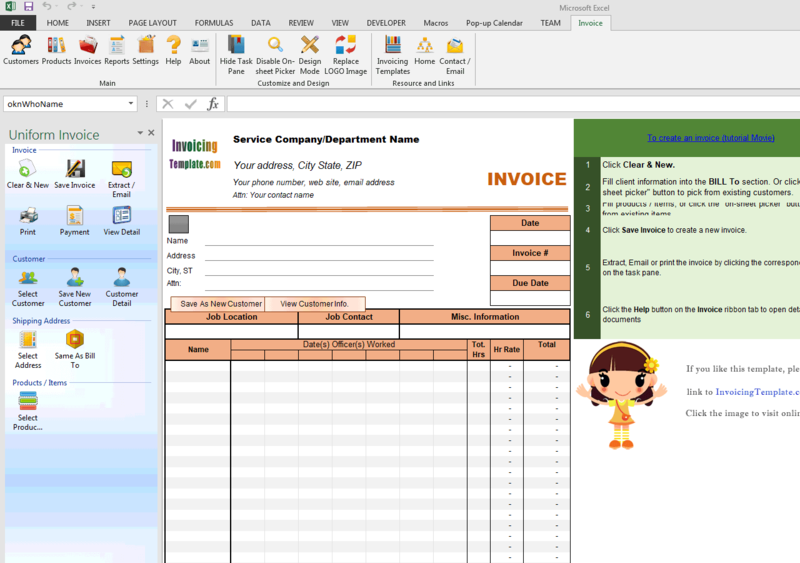 You can use it with Excel 2003, 2007, 2010 or 2013. 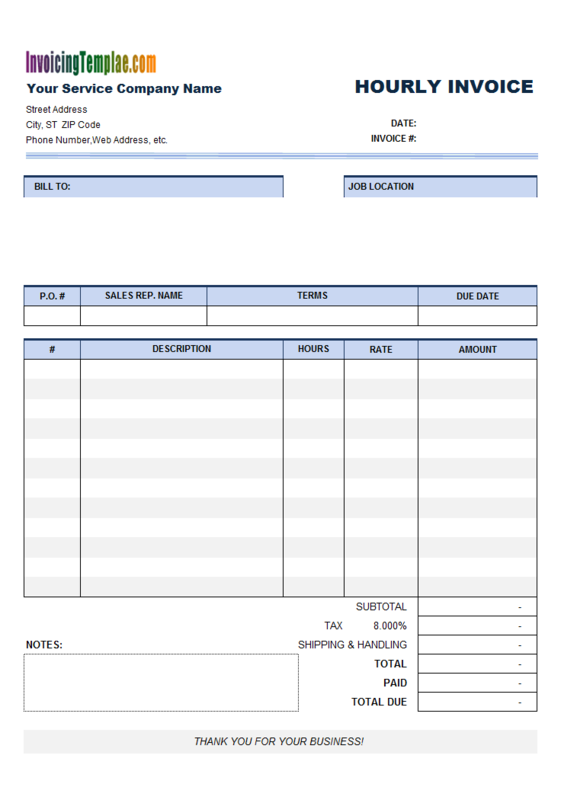 A timesheet (or time sheet) is a method for recording the amount of a worker's time spent on each job. 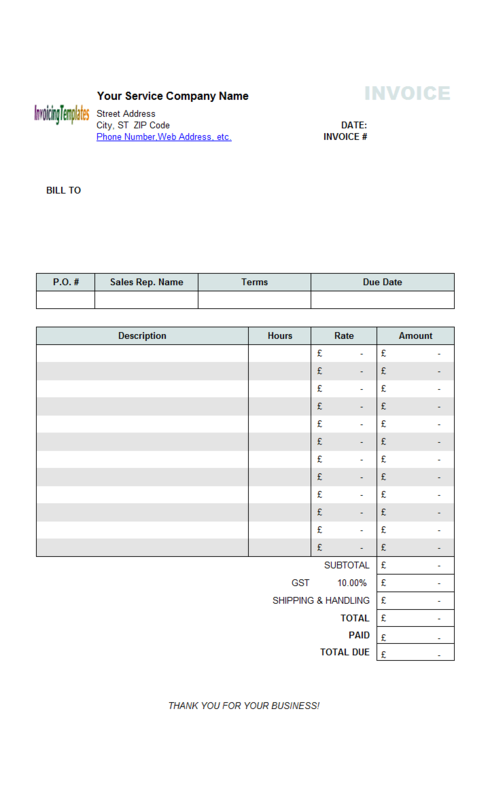 Originally developed for an employer to determine payroll, timesheets are not just for payroll any more. Timesheets may record the start and end time of tasks, or just the duration. 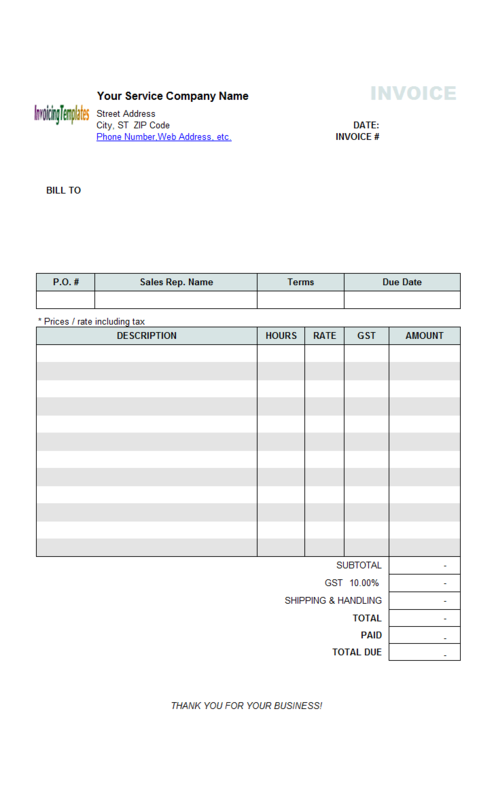 This information may be used for payroll, client billing, and increasingly for project costing, estimation, tracking and management. 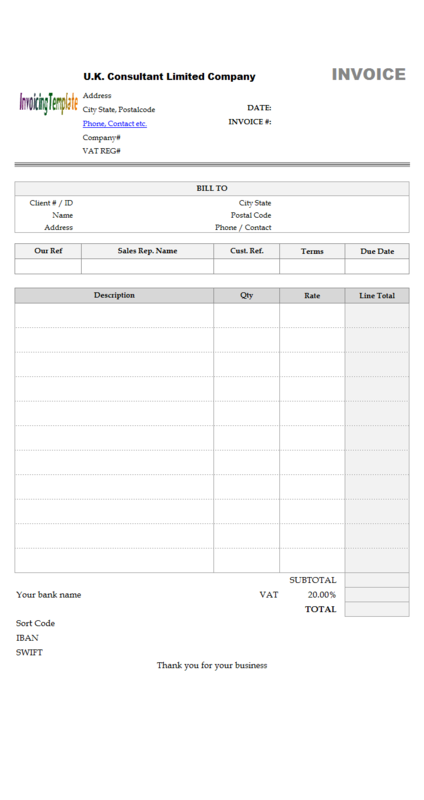 The timesheet template has 11 columns on the invoice body within the printable area. The first is a Name column, where you can enter your employee's name. 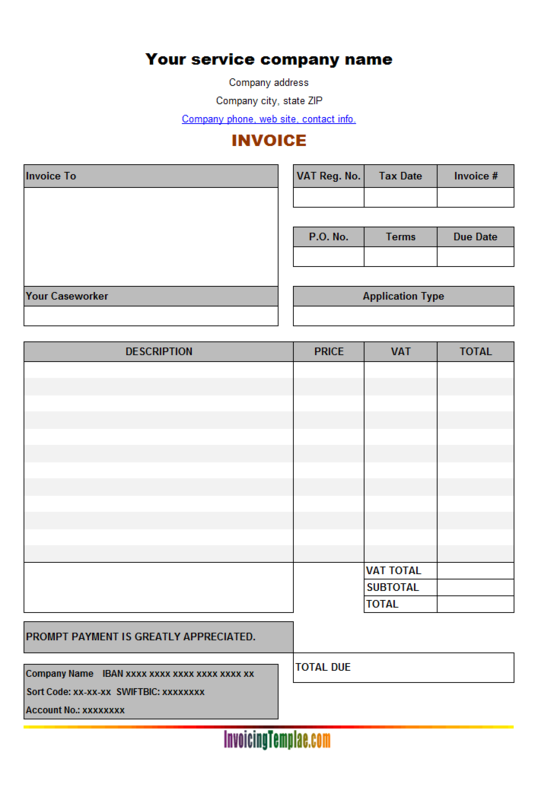 If you use the Invoice Manager for Excel (namely Uniform Invoice Software) version, you can also pick up one two several employees by clicking the icon button on the current invoicing line, or you can retrieve employee information (including hourly rate) from backend database by type the ID of the employee into to "OP#" cells. Following the Name column, there are 7 columns for you to enter hours worked each day. This is the place to record how long each employee worked for a job. After that, you see the Total Hours column. This column is calculated automatically using Excel formula, so you don't have to calculate and type it manually. 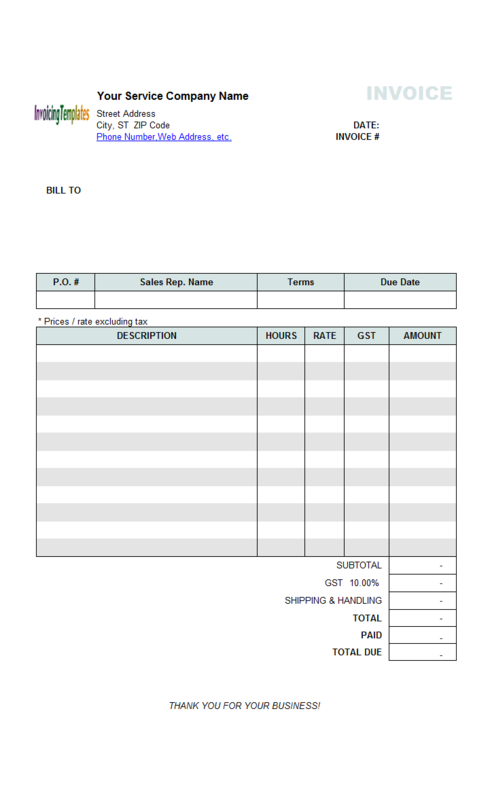 The next column, Hourly Rate column, should be manually filled in. 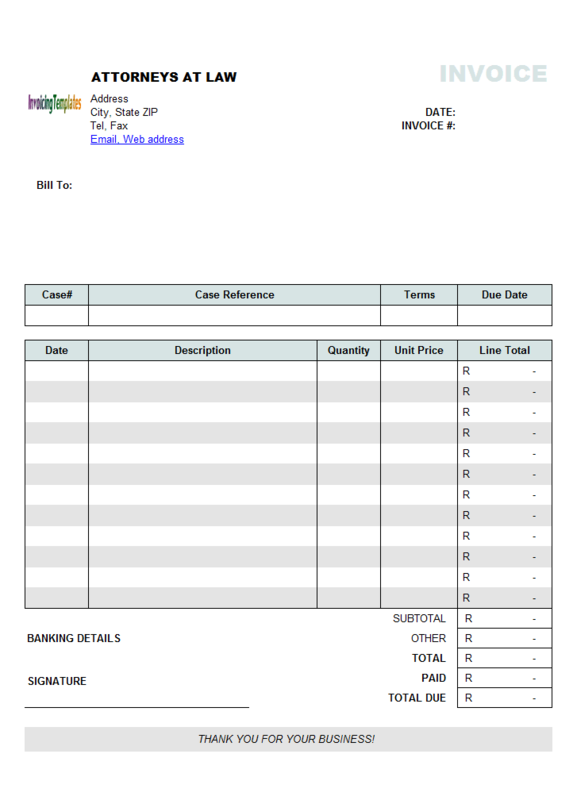 However, if you have Invoice Manager for Excel (namely Uniform Invoice Software) installed, the Hourly Rate can be retrieved from backend database automatically. 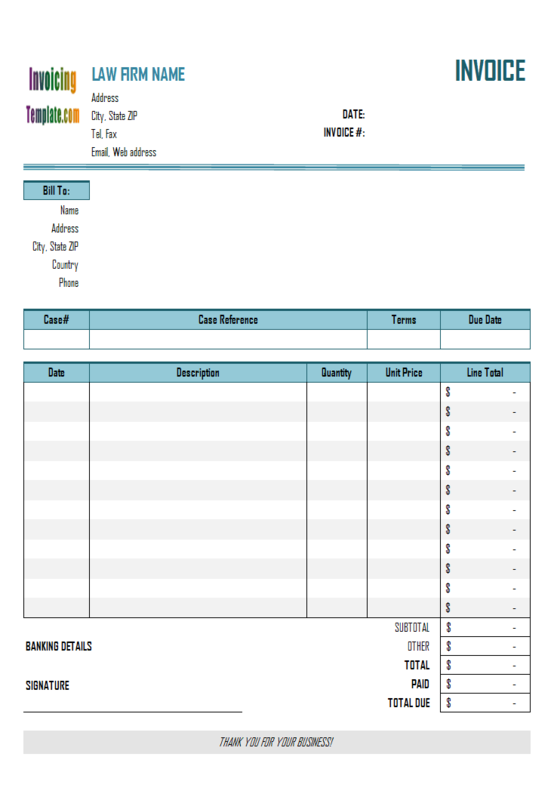 The last column on the printable form is called Total, which is also calculated using Excel formula. On the bottom of the invoice form, you can find a cell titled with "administrative fee $7.00 per hour". If you don't need this field, simply delete the label and its formula. 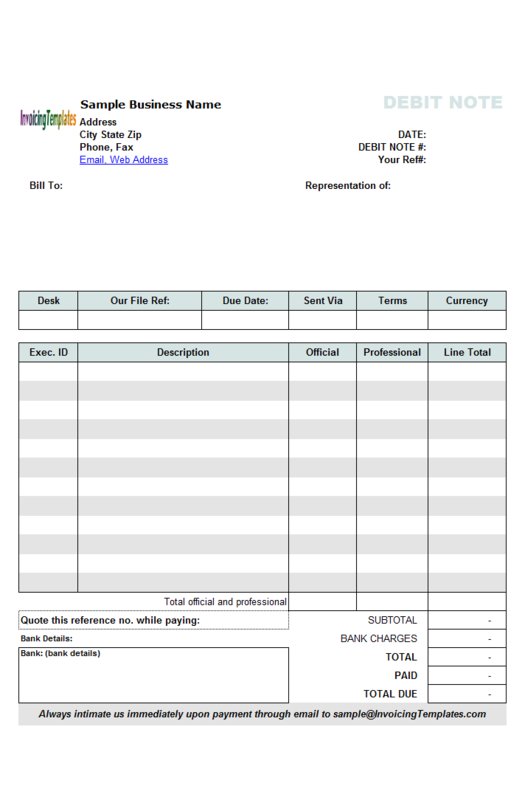 Like other form designs here on InvoicingTemplate.com, Time Sheet is free (offered to you at a price of 0.00USD). It works on Windows XP and all newer versions of Windows, and Excel 2007, 2010, 2013 or 2016. This template was redesigned to adopt the look and style for UIS 4 and later versions. 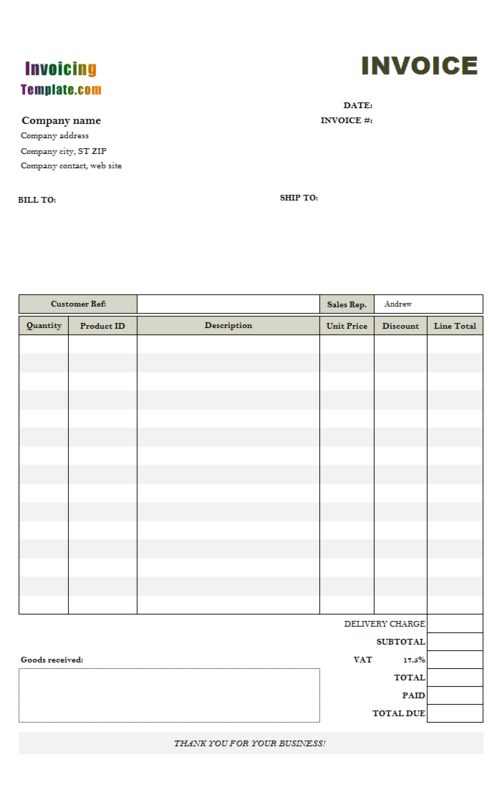 Added gray bottom lines to fields inside the "Bill To" section. Now it provides the ".xlsx" and PDF formats only. 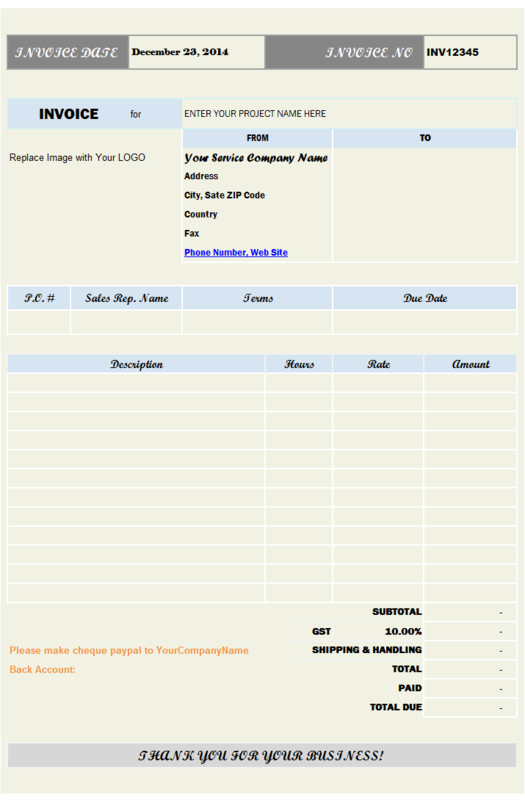 The ".xls" version is no longer provided.